Maybelline had to be one of my very first makeup brands I bought when I was younger. From the mascaras to the eyeliners and eye shadows; I was in heaven. It was definitely one of my favorite beauty brands back then and still is now; that’s why I am excited to announce I’ve teamed up with Maybelline to give you an inside look of their newest beauty products. One of the very few products I definitely use is mascara. As an Asian, I was not born with long eyelashes, and my eyelashes are very short and don’t curl as great as I’d like them to. 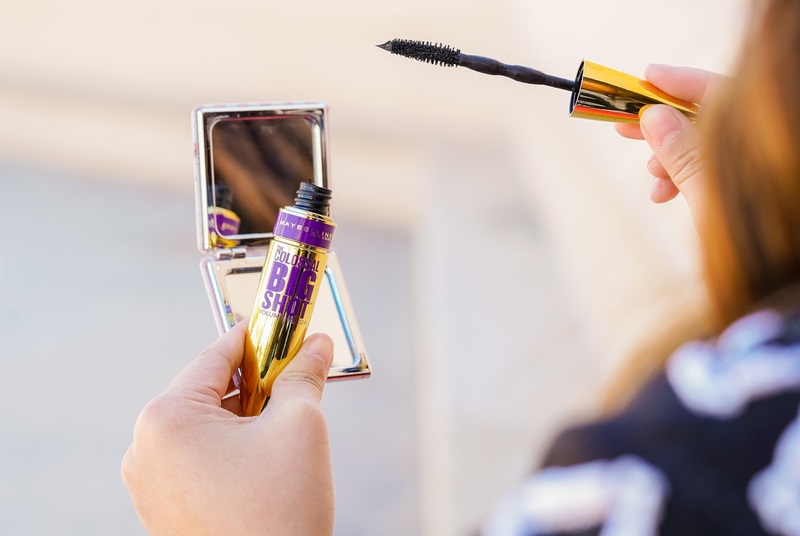 I have tried multiple brands and can never seem to find one that works wonders to my lashes, but as I was trying Maybelline’s Colossal Big Shot Express mascara it was a total game changer. In a few strokes, my lashes were not-so-short anymore! Not to mention, it delivered a bolder look to my eyes. Another product I always use is eyeliner, and finding the right eyeliner is a definite MUST. In the past, I’ve experienced many eyeliners that easily melted off my eyes in just a few minutes. Annoying, right? So I have to admit I was a bit skeptical when trying Maybelline’s Master Precise Liquid Ink Pen Eye Liner at first, but to my surprise it not only stayed on my Asian eyes the entire day but it also was so easy to use (so no more do-overs or messy smudges)! I barely ever use eye shadow nowadays, but I’m totally loving Maybelline’s new eye shadow color palette – The 24K NUDES. And I gotta say this palette has all the right shades to complete the ultimate smoky eye look. Totally can’t wait to use this the next time I’m out and about! What I love most about Maybelline is that they sell some of the best beauty products that are also so affordable!